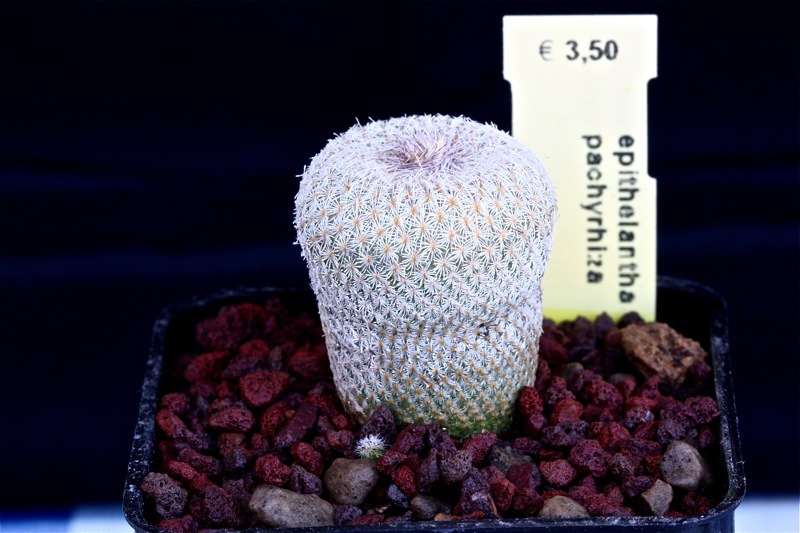 Nome completo : Cactaceae Epithelantha pachyrhiza (W.T.Marshall) Backeb. Pubblicazione Cactus (Paris) No. 39, 31 (1954); et No. 40, 60 (1954); cf. Backeb. Cactac. Handb. Kakteenk. v. 2917 (1961).